Oh October, where did you come from? 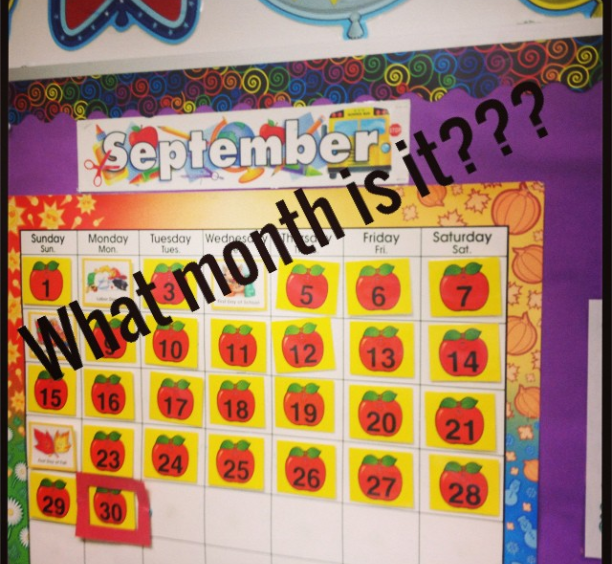 Do you ever get to a new month and think, that can't be right? I could've sworn it was just the 1st of September and now October shows up unexpectedly! As you can see from my picture I put on Instagram, I was completely surprised by the change in month and forgot to change my calendar. Don't worry, the kids were very quick to let me know about it. Unlike me, they do not miss a beat. So without further ado, here is a run down of our Apple Extravanganza! This was how we started our day - with a little interactive morning message. 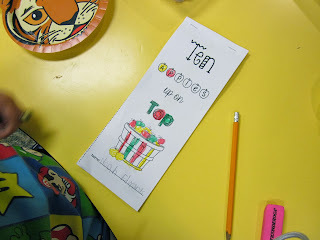 I always try to incorporate some of what we're learning in the messages, like sight words, phonics instruction, vocabulary, and grammar for the week. 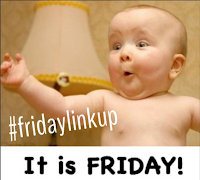 It also happened to be on Friday and every Friday we say T.G.I.F. I say to the students, "What day is it?" They reply, "Friday!" Then we say together, "T.G.I.F. Thank Goodness It's Friday!!!" I mean, who doesn't love Fridays??? You have to celebrate the little things. On a side note, I started a little link up on Instagram for Fridays where you tell what you're most looking forward to for the weekend. 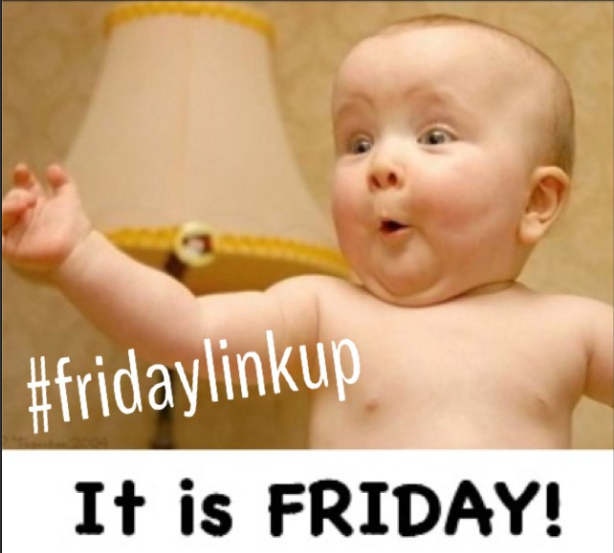 Just use the hashtag #fridaylinkup when you post. I digress. Back to apples. 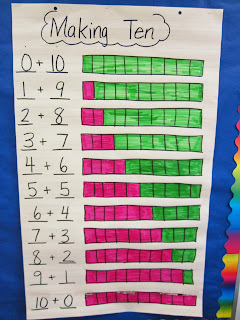 . .
For math we focused on making 10. This was probably the highlight of the day for most of the kids. 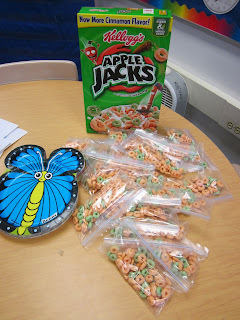 We started with some Apple Jacks for counting and some Zoo Pals paper plates. Am I seriously the last one to realize how cute and fun these plates are for math??? Where have I been? 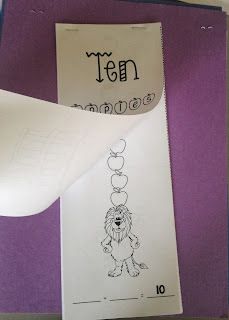 Each student got a plate, a bag of Apple Jacks (more than 10 for a little snack of course), and this little booklet. 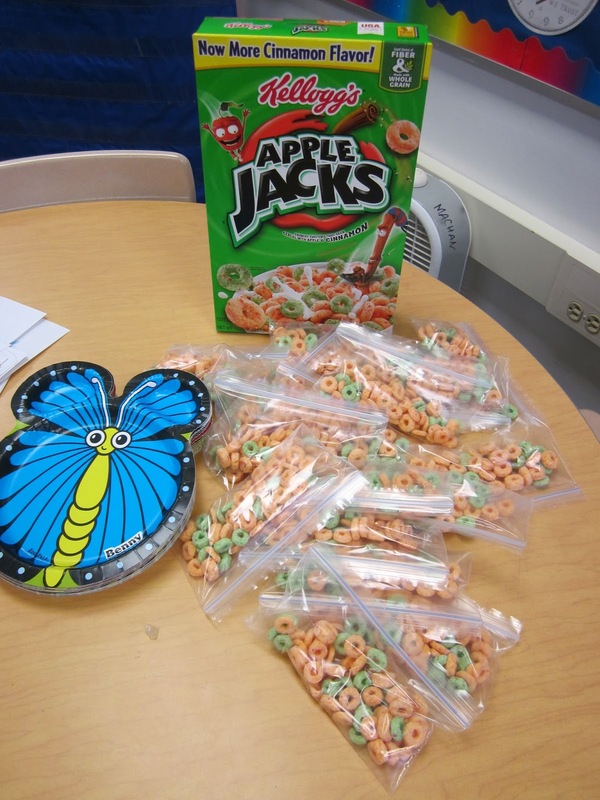 They had to count out 10 Apple Jacks (all one color to avoid confusion) and put them in the large part of the plate. Then they split them in 2 groups and put them into the two smaller sections (for some animals it's the ears, others it's the eyes or paws). 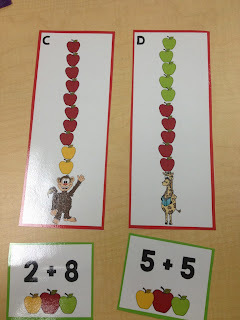 Next they colored in the apples in the booklet to match the two groups and write a number sentence. 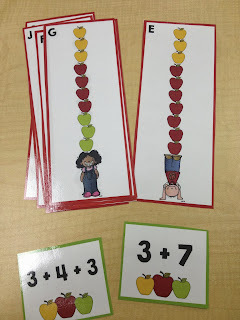 I was SO impressed with my little kiddos and how they totally GOT IT! 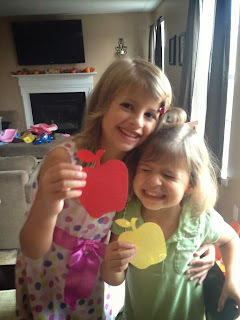 They just went to town making new groups, coloring apples, writing number sentences, and repeat. The final page of this booklet has some missing numbers problems. Normally these are super hard for the kids at this point in the year, but with Zoo Pals plates and Apple Jacks - not so hard. They were rockstars!! 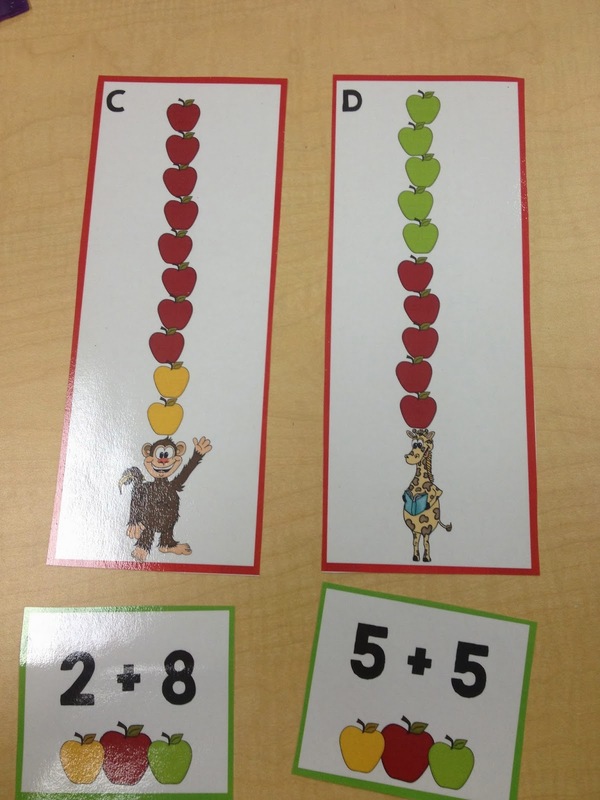 Here are two centers that will be going into math tubs next week. 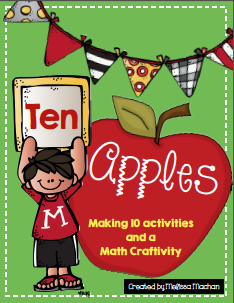 If you're interested in the making 10's book, center, and creativity - I just posted it on TpT. Later in the day we read this Scholastic News that had this adorable song on the cover. Anyone else get Scholastic News? I just love them. Really great nonfiction resource that ties in social studies, science, and even math sometimes. The kids love them too! 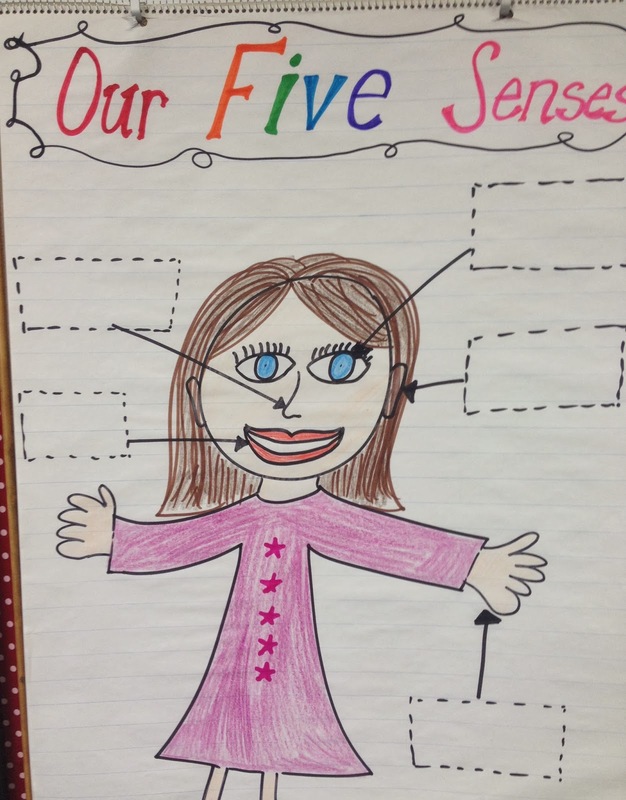 We are also doing Five Senses in Science right now, and Apples fits in perfectly with that. 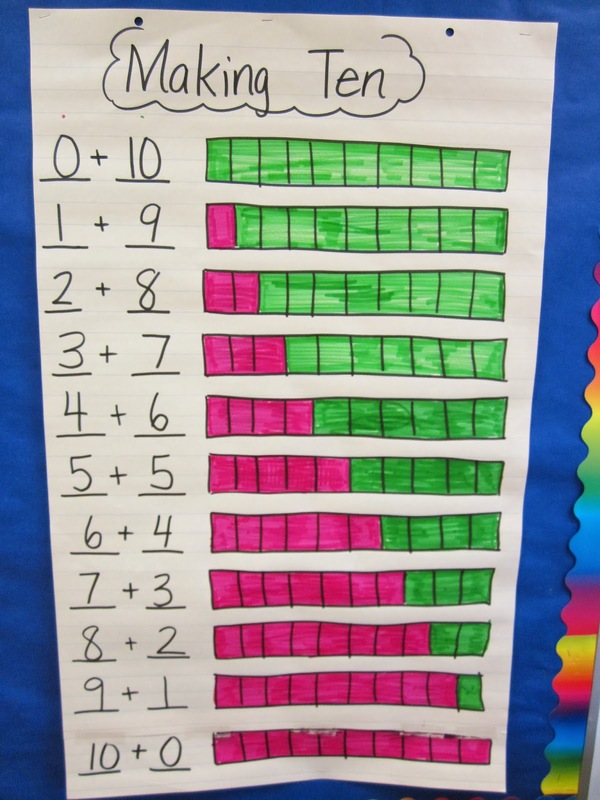 Here is my amateur attempt at an anchor chart (I do try, but they never come out as cute as I want them to). We started this earlier this week. Then we did this tree map. 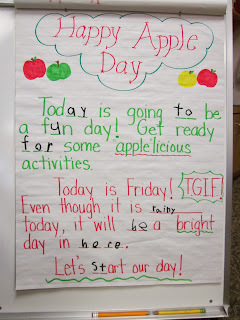 I had the kids do a little writing about apples using our sensory images while I called kids up to do some apple tasting. 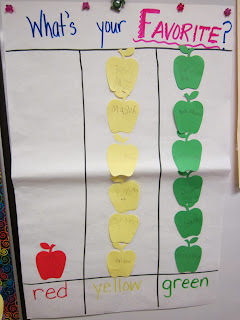 Of course we graphed our results. Finally we finished our day with some homemade applesauce in the crock pot. We actually began our day with making the applesauce, but here is the finished product. Yummmmmmy!!!! 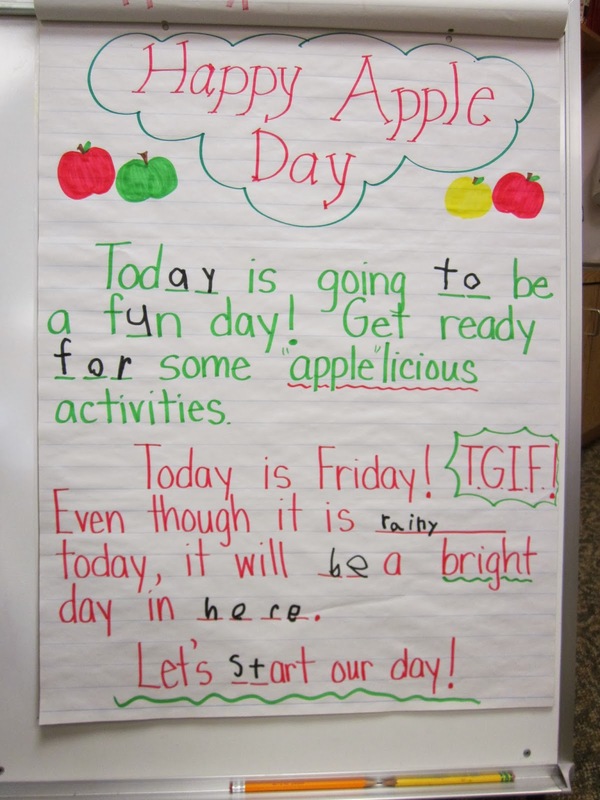 I just love apple day!!! 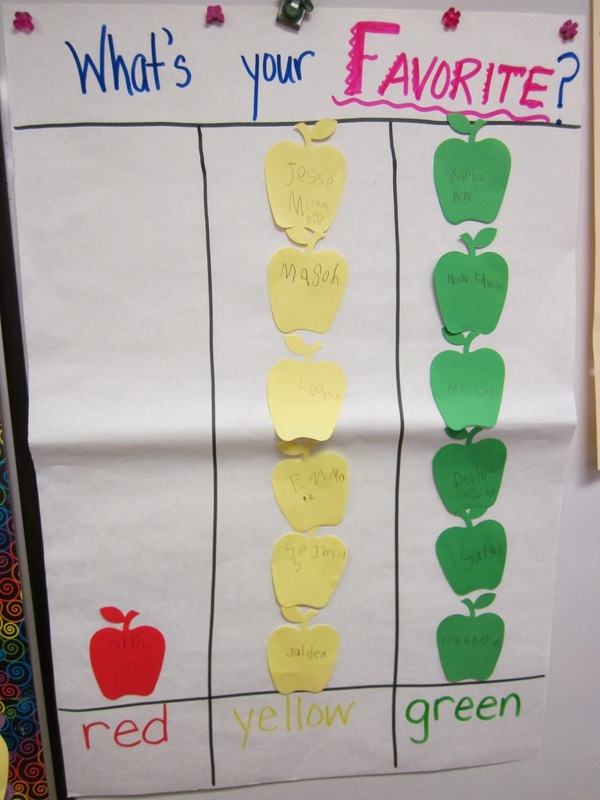 Next week we are going on a field trip to go apple picking too! Can't wait! 2. Here is a picture from Bradley's Learning Paradise on Instagram showing a boy with one of my Math About Me freebies. I just LOVE seeing other kids enjoying something I've created. Totally makes my day!!! 3. Finally, I have to give a shout out to Laura Candler. If you don't know who Laura Candler is then I am completely shocked. Honestly! Laura, to me, is a pioneer in the world of blogging and sharing resources. When I first started teaching 12 years ago (gasp!) her site was so incredibly useful to me. She graciously shares SO many resources! She was kind enough to promote my Nonfiction Text Features Scavenger Hunt on her Facebook page: Laura Candler's Teaching Resources, which has over 100,000 followers! Holy Moly!!! I cannot say enough about how much respect I have for her and I am so honored to be a small bleep on her radar. You need to stop over and check out all she has to offer! You could spend HOURS (and I have) searching through her incredible sites. 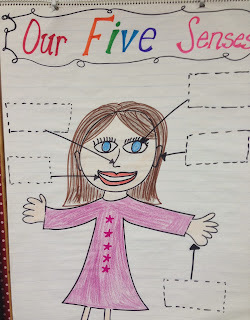 Here's her blog: Corkboard Connections. Wow!! LOTS of apple fun in your classroom last week!! Fall is so great!